It is hard to believe that 3 months in Uganda have already passed me by! When your days are packed with high-energy meetings and strategic organisational planning with your fellow Blossom Africa team members, I suppose it is easy to lose track of time. My last month here has seen some of the final processes for Blossom Africa to become an official community-based organisation (CBO) in Bunambutye, several interesting partnership meetings with like-minded organisations, and some great strides forward in the pilot training model and modules. I could not be more pleased with the collaborative efforts from all of our team members (Ezra, Jeremiah, Aaron, Mubarack, Ivan, James, Winnie, and Phaima) in these final days as we close 2016 and prepare for 2017. Although I will be leaving Blossom Africa to join Young 1ove, an NGO in Botswana, I am very excited to remain a strong contributor to and supporter of Blossom Africa’s efforts. As our team finalises plans for our pilot programme in 2017, I will continue to develop and refine the training materials at a distance to ensure that our first programming is of high quality and impact. 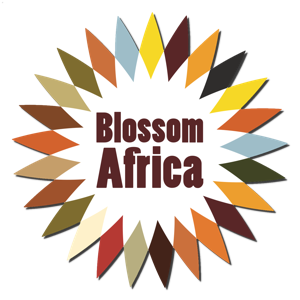 Additionally, I cannot imagine not staying in touch with all of the team members who have made my work with Blossom Africa incredibly joyful and worthwhile. Fortunately, I was able to spend my final evening in Mbale with the Blossom Africa team during a farewell dinner at Robert & Rose’s (R&R) Guesthouse. We feasted on a delicious home-cooked meal, celebrated our successes so far with a certificate ceremony, and shared memories, many thanks and hopes for the future. 2017 promises to bring more exciting progress from the team as we gain our official CBO status, introduce a new international volunteer, and implement the long-awaited pilot training programme! Also, Jeremiah, one of our key Ugandan volunteers, will attend and observe an intensive training programme sponsored by Educate!—a model and likeminded organization—in Kampala in early January. He is bound to learn some critical training techniques for facilitators and some fascinating approaches to teaching entrepreneurship in a Ugandan context. So although I am sad to bid my goodbye to the Ugandan team, I am confident and excited for the path forwards and trust that 2017 will be a fruitful and pivotal year for Blossom Africa. It has been my greatest pleasure contributing to this organisation over the past several months—I cannot wait to see where the team guides the work in the future. Thanks for tuning in and happy holidays to all! More from the new international volunteer in 2017. November is for Needs Assessments. Apologies for the radio silence! Team Blossom has been hard at work—and has made tremendous progress—over the past several weeks in the Bunambutye community. After much deliberation and planning with team members in Uganda and our Board of Trustees in the UK, we successfully implemented our Needs Assessment; we conducted over 80 individual interviews and four focus groups, accessing over 110 Bunambutye community members. These interviews and focus groups helped us learn more about life in Bunambutye directly through the community’s voices. Our team was inspired and enlightened throughout the process and we were heartened to discover the community’s aspirations, challenges, and goals. I have more confidence than ever that the Bunambutye community will shine during our training programme and beyond! Our Needs Assessment interviews and focus groups also provide us with a rich source of data to inform the development of our robust training programme. We plan to use the community’s reflections to help us design a programme that aligns with the community’s values, beliefs, and expectations. Many of our initial ideas about training modules have been affirmed (the community wants to learn more about income-generating activities, agriculture, health, and collective action), but we have also learned about other training programmes and are considering ways that we can build upon this previous work. Needless to say, it has been very exciting and educative times for Blossom Africa! This awesome accomplishment would not have been possible without our dedicated research team members: Jeremiah, Ezra, Aaron, Winnie, Ivan, Phaima, James, and Mubarack. With only four weeks left of my placement (wow, time flies! ), I now turn my energy towards designing a draft of our training programme. Fortunately, I am not left to tackle this huge undertaking alone. Over the past several weeks, I have strengthened our partner relations with key organisations in Mbale and Kampala, many of which have agreed to provide feedback and support as I develop the training. I am privileged and thrilled to learn from these experts in agriculture, health, microfinance, and advocacy as I design Blossom Africa’s foundational programming. And finally, alongside of the Needs Assessment and training development, Aaron and Jeremiah, Blossom Africa’s two Ugandan volunteers, are making great strides on registering us as an official community-based organisation! This is a huge step for our on-the-ground team—and I believe the first of many great steps towards becoming an influential and impactful stakeholder in sustainable development. All for now & stay tuned for more soon!